A day on the water with Phantom Sailing gives you a chance to get away from tourist crowds and enjoy an adventure in a personal atmosphere. 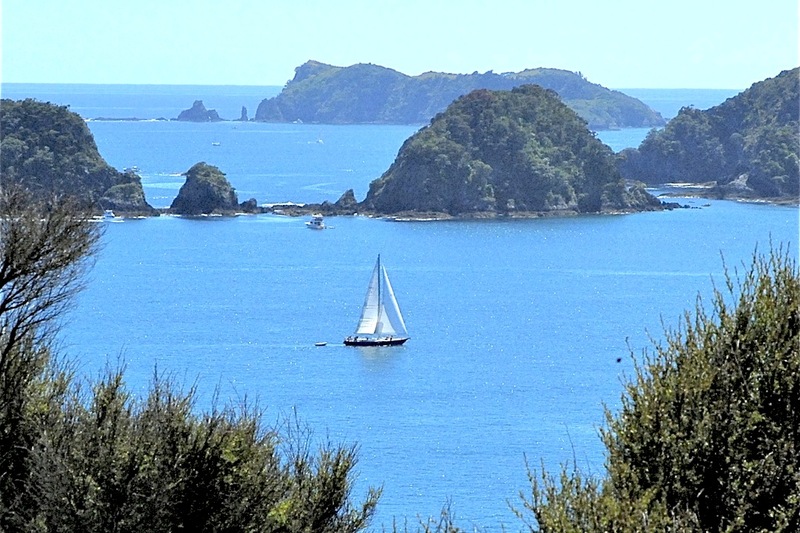 This operator has been sailing charter boats for over three decades and will take you to any one of the area's hundreds of sheltered bays, where you can swim, walk, snorkel, or picnic without being disturbed by other visitors. 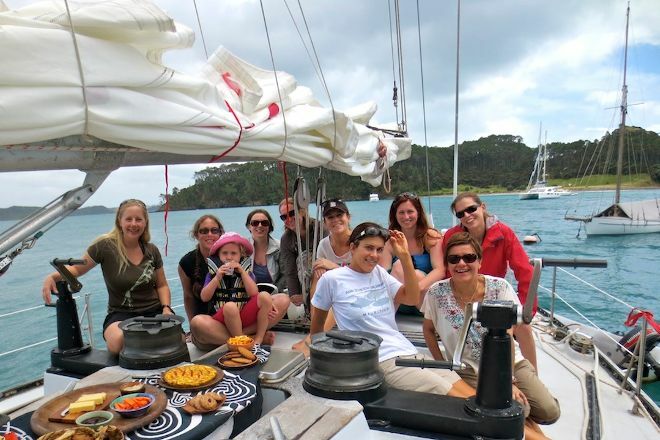 You'll sail with a small group (max 10 people) and enjoy New Zealand's seasonal fruits and cheeses (vegetarian and gluten-free options also available). You can also bring your own beer or wine if you want to entertain your guests and make it a sightseeing party with a bit of a kick. Check the website for rates and booking options. 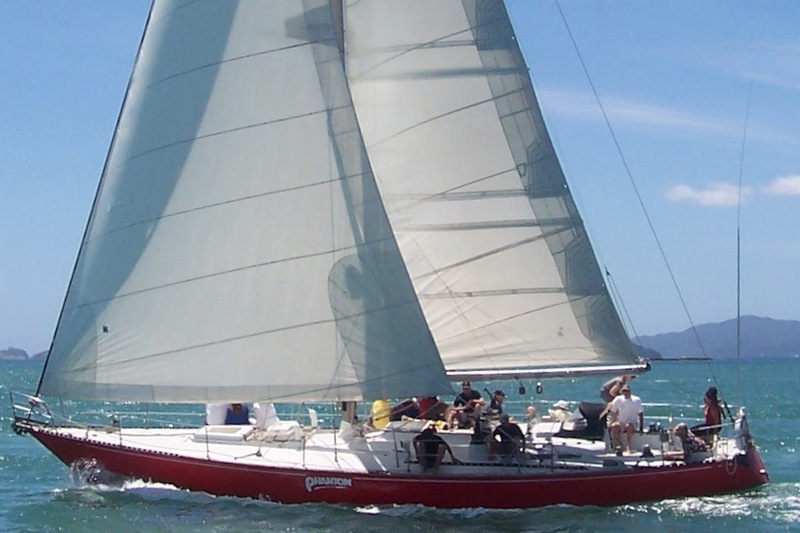 To visit Phantom Sailing on your trip to Russell, use our Russell driving holiday website . Great day trip with the Phantom. Was lucky enough to see some bottle-nos dolphins and 3 fishing little blue penguins. Was ashore on a beautiful island where there was a short trip to beautiful views and quite good snorkeling. Got wonderfully good homemade buffelunch o then continued glorious sailing back to the port. Nice hosts that made us feel more like our guests than "tourists". Good that the number of guests was Max 10, made sure we got plenty of space on the boat. Recommended. Every day, we help thousands of travelers plan great vacations. Here are some tips on how to use your Listing Page to attract more travelers to your business - Phantom Sailing. Promote your permanent link - https://www.inspirock.com/new-zealand/russell/phantom-sailing-a160651611 - on your website, your blog, and social media. When a traveler builds a plan from this page, the itinerary automatically includes Phantom Sailing. This is a great way for travelers looking for a great vacation in your city or country to also experience Phantom Sailing. Promoting your link also lets your audience know that you are featured on a rapidly growing travel site. In addition, the more this page is used, the more we will promote Phantom Sailing to other Inspirock users. For best results, use the customized Trip Planning Widget for Phantom Sailing on your website. It has all the advantages mentioned above, plus users to your site can conveniently access it directly on your site. Visitors to your site will appreciate you offering them help with planning their vacation. Setting this up takes just a few minutes - Click here for instructions.